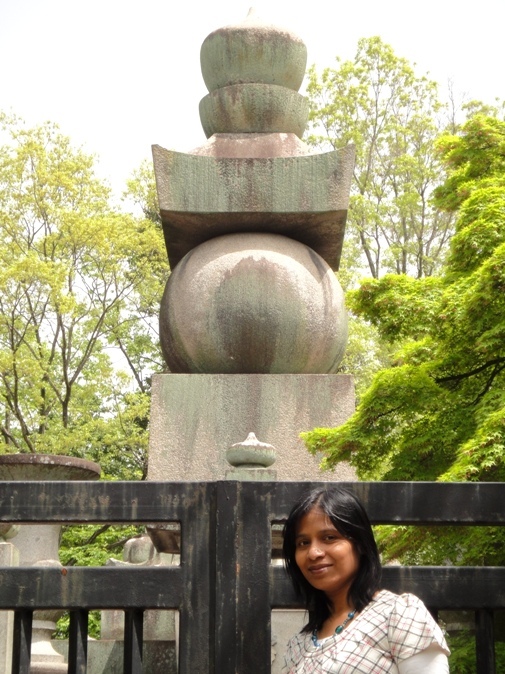 On the morning of 2nd May, hubby and I visited Toyokuni Jinja Shrine, Hokoji Temple, and Hokokubyo Mausoleum in Kyoto. We left the hotel at about 8 am, and reached Kyoto Railway station at 9 am. Inside the station, we saw gogatsu ningyo exhibited on the north-south passage near the central Karasuma exit. Gogatsu ningyo are the dolls exhibited during the traditional Boys’ Day on 5th May. Nowadays this day is celebrated as Children’s Day. 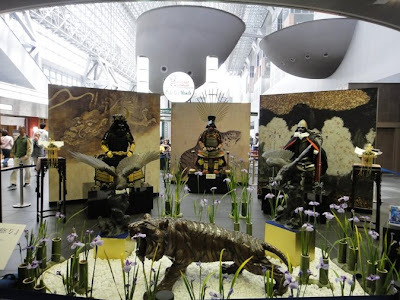 The exhibited dolls were the armors and helmets of Oda Nobunaga, Toyotomi Hideyoshi, and Tokugawa Ieyasu who were the greatest men in Japanese history and are known as the three unifiers of Japan. 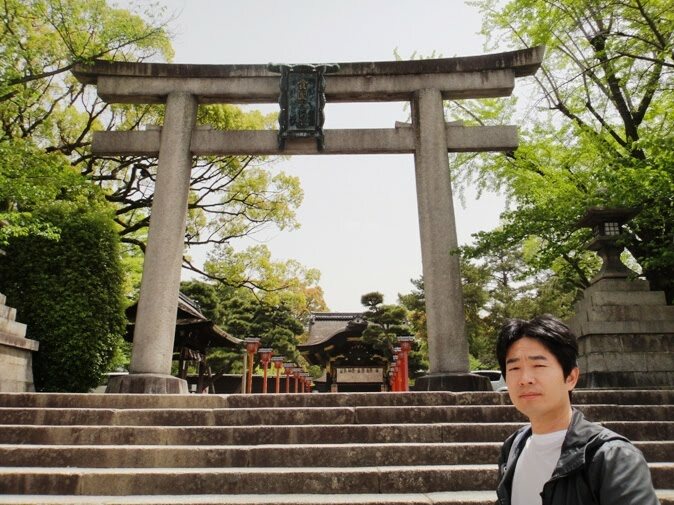 Toyokuni Jinja is a Shinto shrine located in eastern Higashiyama area of Kyoto city. 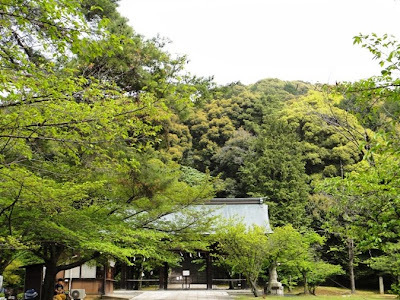 The original shrine was built in 1599 and was dedicated to Toyotomi Hideyoshi. 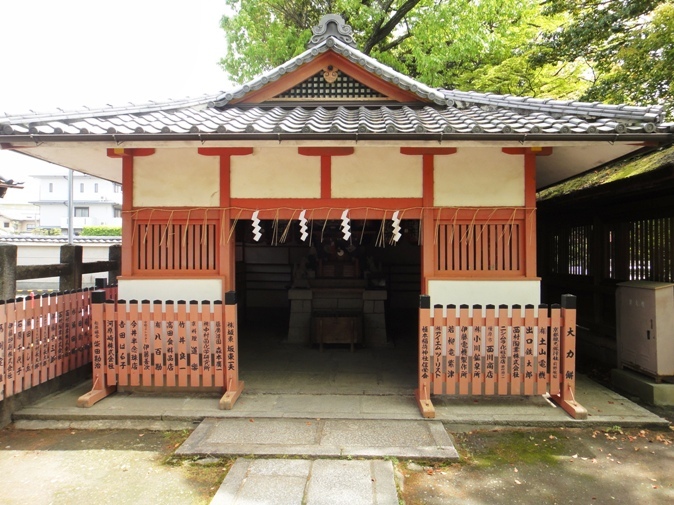 The present shrine is the restored shrine to his spirit. 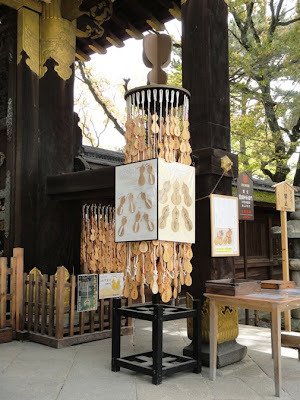 The shrine is popularly and affectionately known as Hokoku-san. 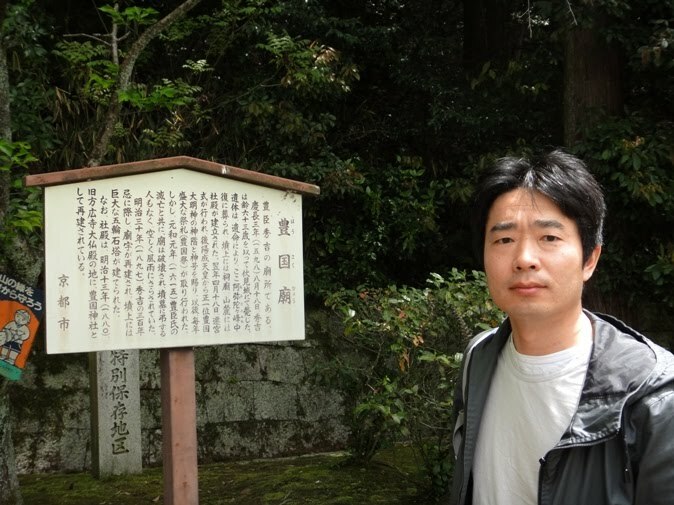 Hideyoshi died at the age of 63 in 1598. The next year Emperor Goyozei ordered that a Shinto shrine to Hideyoshi’s spirit be constructed at the foot of Mount Amidagamine to the east of Higashi-oji-dori Road since in death Hideyoshi was seen as a god. The emperor granted the shrine the highest shrine rank of Shoichii and bestowed upon its god the name Toyokuni Daimyojin. The shrine became a gathering place for the people of Kyoto on the anniversary of Hideyoshi’s death. In 1604 a particularly magnificent festival was held to mark the seventh anniversary of his death. 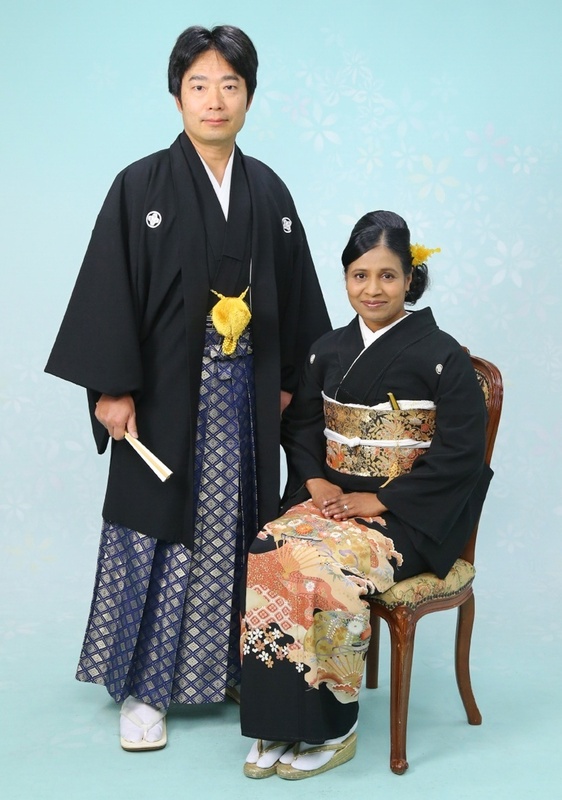 Such esteem for his predecessor concerned the new Tokugawa Shogunate. 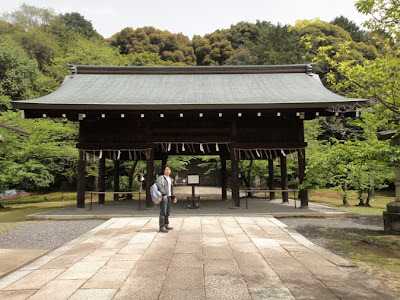 As a result, Tokugawa Ieyasu, the first Tokugawa Shogun, annulled the enshrinement of Hideyoshi in the shrine in 1615. 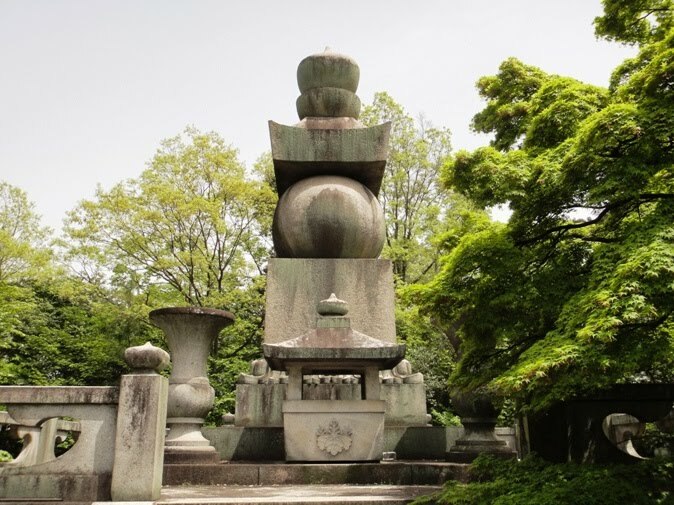 However, with the end of Tokugawa Edo Period in 1868, the new Meiji government began the restoration of Hideyoshi’s reputation and all the shrines connected with him. 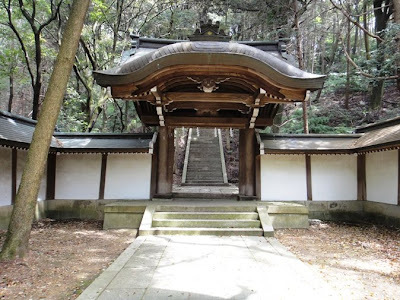 In April 1868, the Meiji Emperor ordered the restoration of Toyokuni shrine. 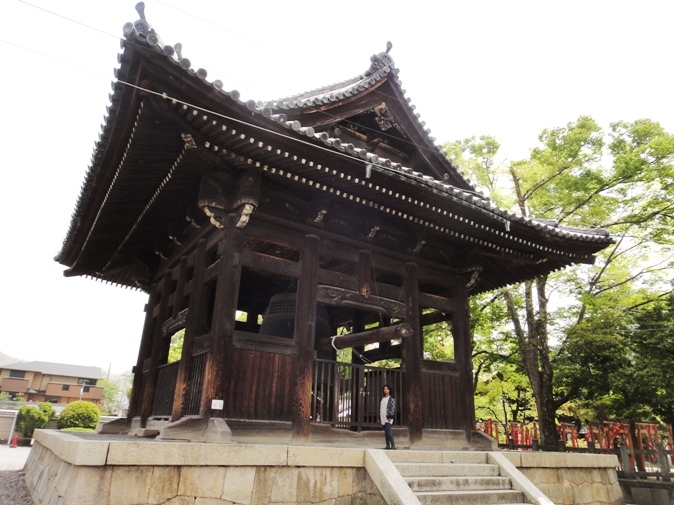 The shrine was reconstructed during Meiji Period in 1880 at the current site, where Daibutsuden Hall of a temple named Hokoji had previously stood. 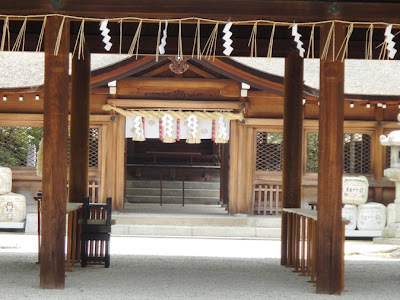 The shrine was rebuilt on a grand scale and therefore many of the buildings of Hokoji Temple were moved to the north. Toyokuni Jinja is located about two kilometers northeast of Kyoto Railway Station and it took us ten minutes to reach the shrine by taxi. 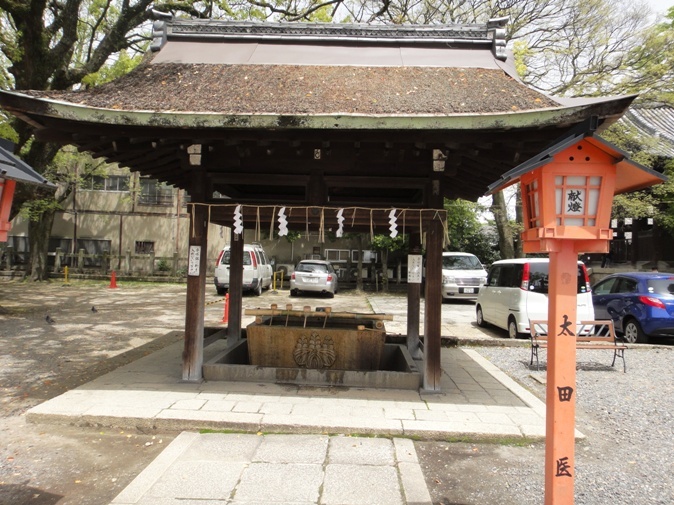 The shrine is located on Yamato-oji-dori Road where Shomen-dori Road meets Yamato-oji-dori. 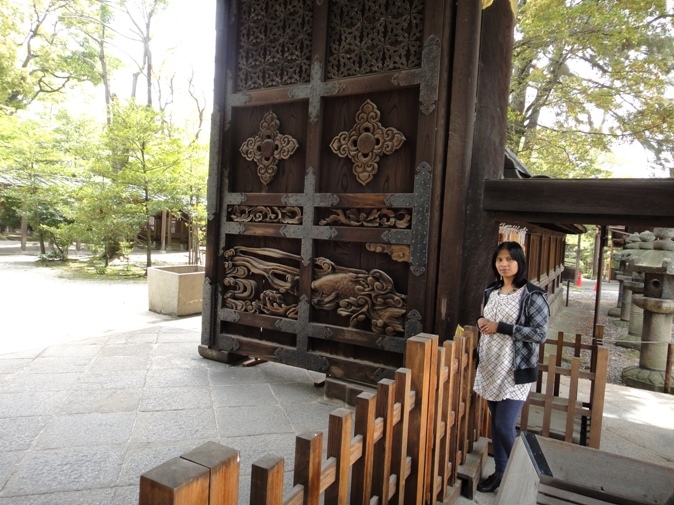 We reached right in front of a stone Ishitorii Entrance Gate located on the west side of the shrine grounds. Beyond the stone gate, there is a stone paved pathway with a series of lanterns in vermilion painted wood raised on posts on either side of the pathway. To our left towards north, we saw a water house that is used to wash our hands which is a symbolic act to clean the mind and body of impurity before entering the shrine. On the same side of the shrine complex there is a beautiful stone lantern. 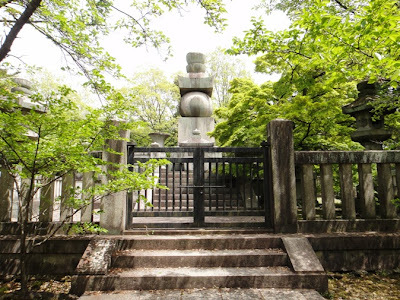 The paved pathway leads to a gate named Karamon. 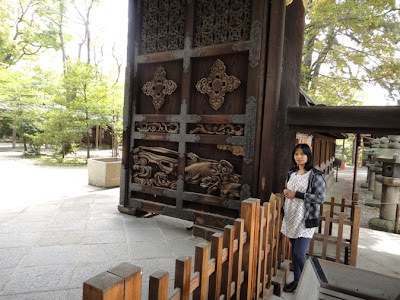 It is a Chinese-style gate which is said to have once stood before Hideyoshi’s Fushumi Castle, and was brought to the present location in 1876. 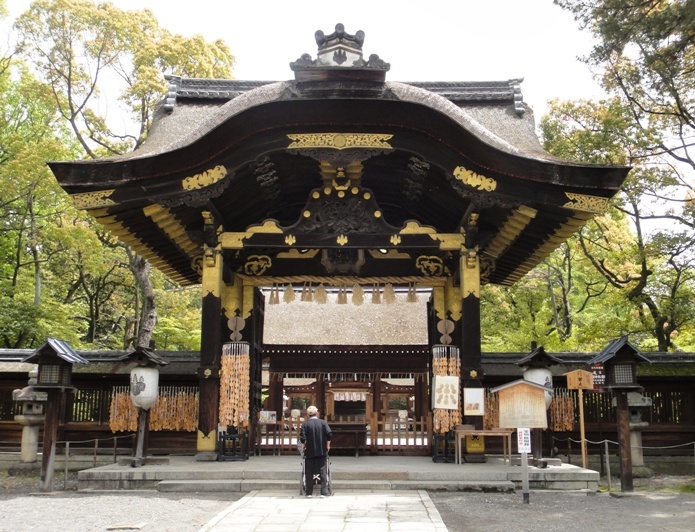 The gate has typical Azuchi-Momoyama Period architecture and is now designated as a national treasure of Japan. The gate faces the western side of the shrine complex and from it hangs the original tablet-name for the shrine that was created by Emperor Goyozei in 1599. 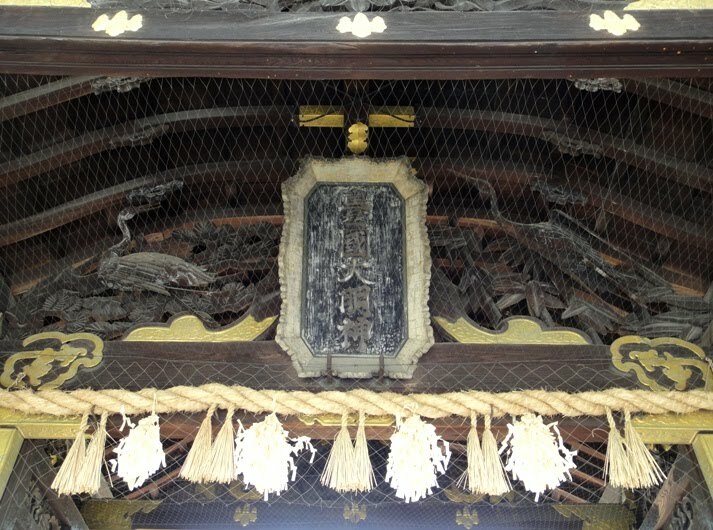 The roof of the gate is made of cypress bark, and the gate is supported by six large wooden pillars. 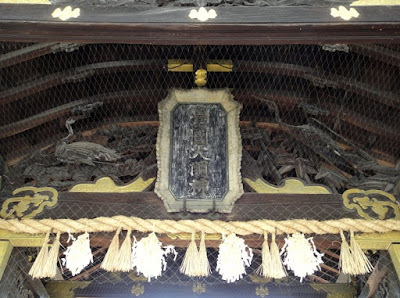 Fine relief carving of two cranes under the front gable enhances the beauty of the gate. The ornaments of the gate are gold plated. Many gourd-shaped ema votive tablets hang from several stands kept on both sides of the gate. 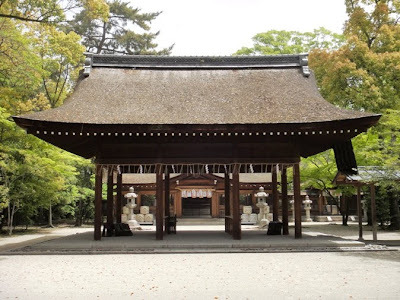 Beyond Karamon Gate is Haiden Prayer Hall which is a roofed structure with no walls. 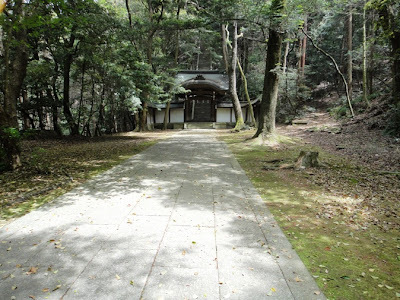 Right beyond the prayer hall is Honden Main Hall where the spirit of Hideyoshi is enshrined. 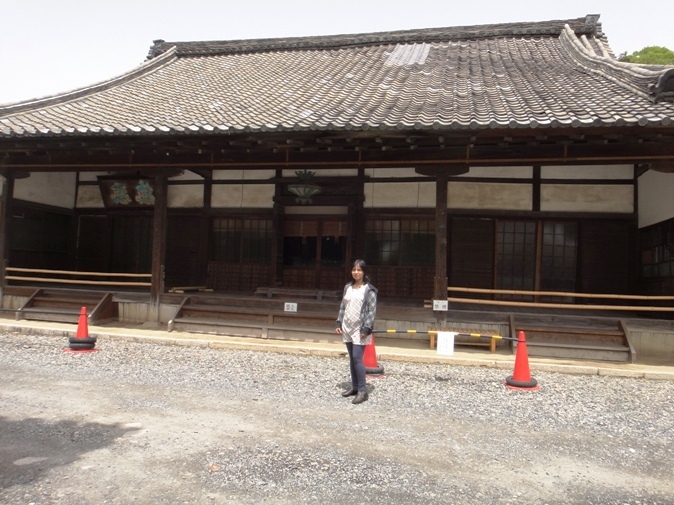 We could only see a part of Honden Hall as visitors are not allowed beyond Karamon Gate. We prayed to the god from Karamon Gate itself. 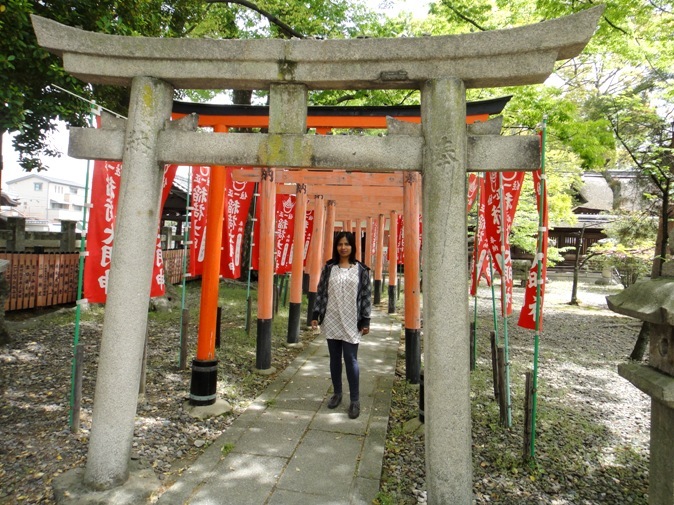 To the north of the paved pathway, there is another smaller Shinto shrine named Inaridaimyojin which has a series of small vermilion torii gates in front of it. 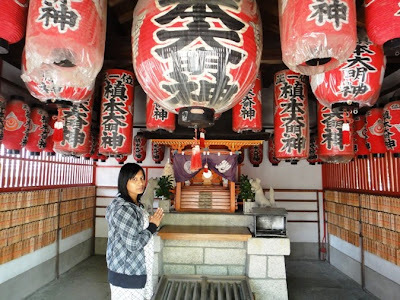 I prayed at this shrine. Next, we visited Hokoji Temple which is located adjacent to Toyokuni Jinja. 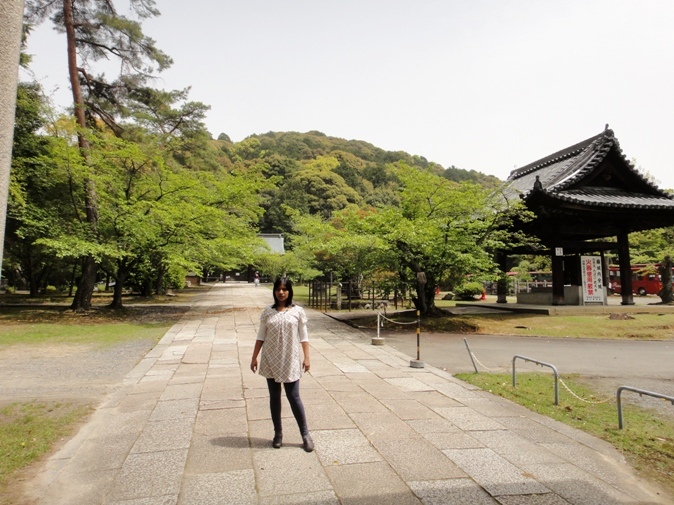 Hokoji Temple was erected by Toyotomi Hideyoshi in order to build a huge image of Buddha which would outclass the Great Buddha Daibutsu of Nara. It is a Tendai sect temple founded in 1586. The original temple grounds covered an area 238 meters from east to west by 250 meters north to south. 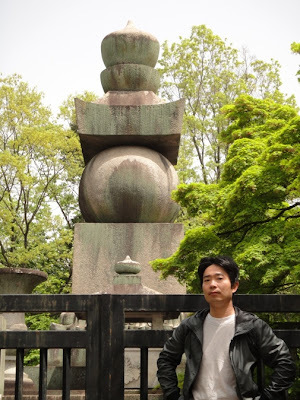 Hideyoshi’s vassals furnished the funds and the workers needed to construct the temple. 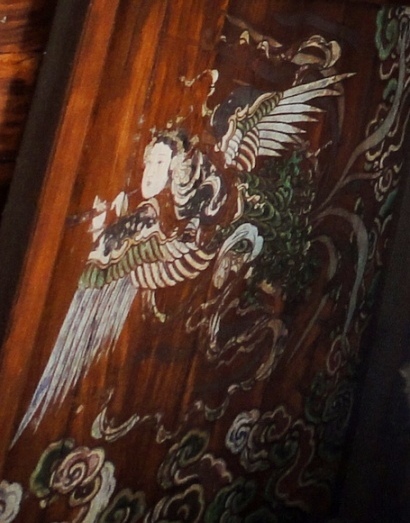 An 18-meters tall image of Buddha was cast in wood and lacquered. Construction of the giant statue reportedly took only three years. A large Daibutsuden Hall was built in 1587 to house this image. 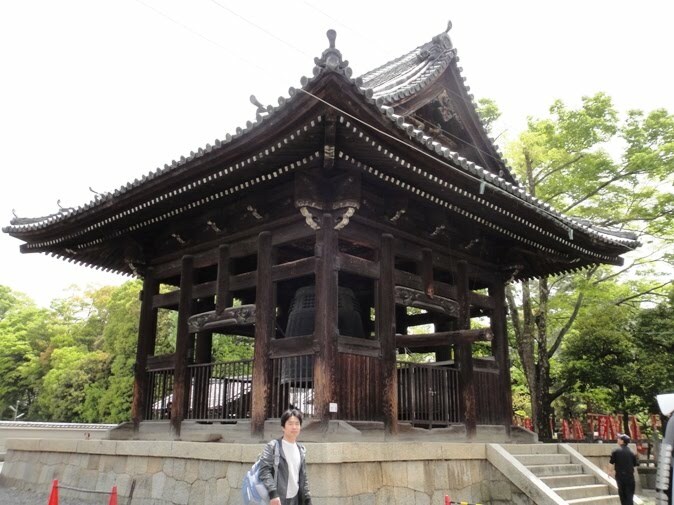 In 1596, a great earthquake damaged much of Kyoto area and the image of the Great Buddha was destroyed. 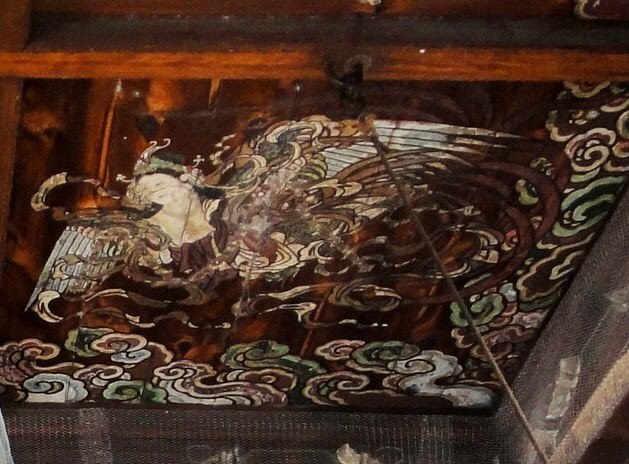 Rebuilding of the image of Buddha and the hall began in 1598 but within a month Hideyoshi passed away. 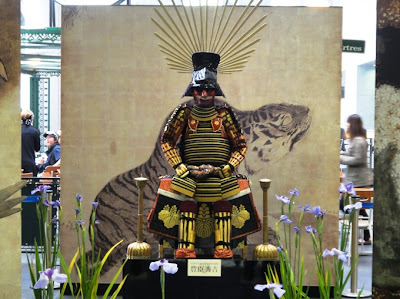 Dissension among various lords who had pledged to support Hideyoshi’s five year old son Hideyori as the next political ruler when he came of age, enabled Tokugawa Ieyasu to gain control of the government by 1603. Ieyasu was determined to get rid of Hideyori. 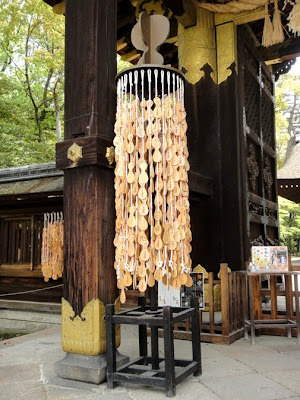 So in order to weaken Hideyori financially as the years went by, Ieyasu encouraged him and his mother Yodo-dono to use gold coins from Hideyoshi’s estate to fund the replacement of the Great Buddha. The rebuilding was already underway for a few years but a fire in 1603 destroyed the almost completed bronze statue as well as the main hall. 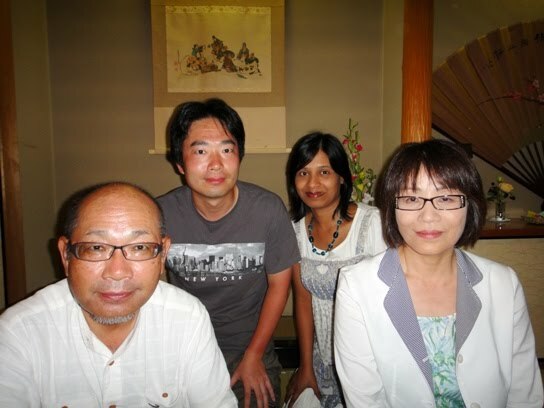 Ieyasu convinced Hideyori and his mother once more that the project had to be completed using the Toyotomi family finances. By 1609 the image of Buddha was recreated in bronze, and by 1612 the temple was restored. However, this new hall and the image of Buddha were destroyed by an earthquake in 1662, and the wooden replacements were lost in a fire in 1798. The new image of 1843, which replaced the previous Buddha, was destroyed in a 1973 fire. 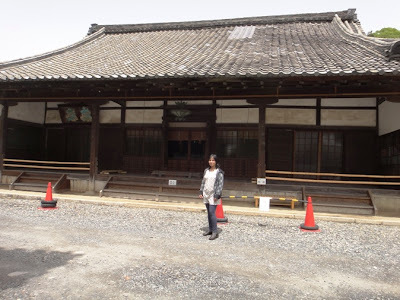 Thus, the existing halls of this once spectacular landmark temple are not very important since all that was of consequence has been consumed by many fires. In addition, the reconstruction of Toyokuni Shrine in 1880 was carried out where Daibutsuden Hall of Hokoji once stood. 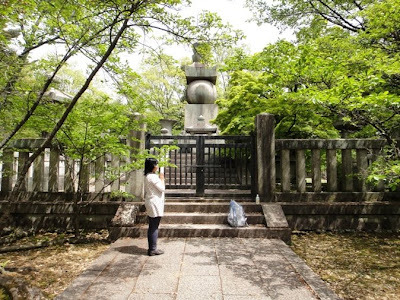 Many of the buildings of Hokoji Temple were moved to the north thereby restricting the temple to but a corner of its original site. Hokoji Temple today is a rather nondescript complex. 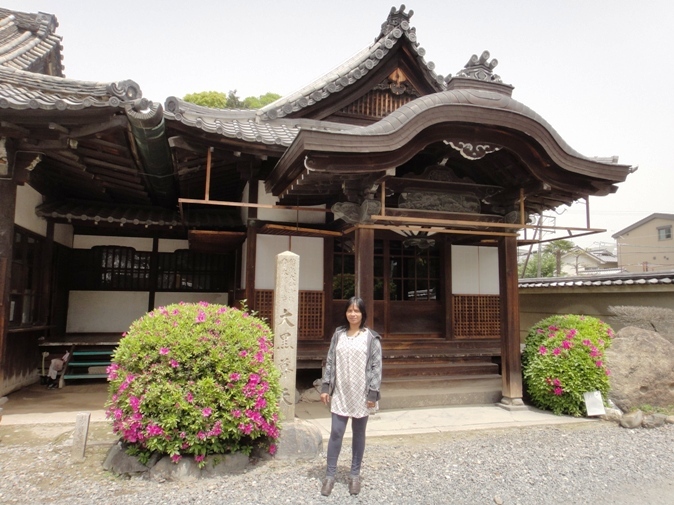 The present temple complex is located on the east side of Yamato-oji dori just north of Toyokuni Jinja. We could directly enter the temple grounds from the shrine premises itself as the temple grounds begin at the end of the shrine property. 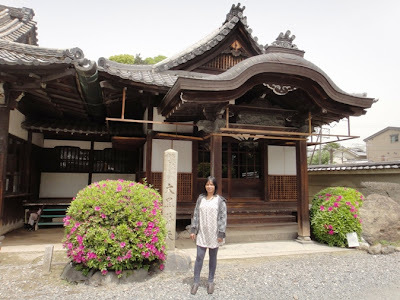 We saw Hondo Main Hall of the temple but it was closed. 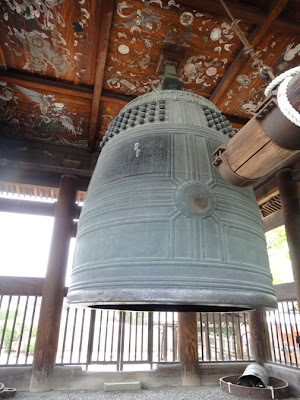 The temple has a bell which has important historical value. 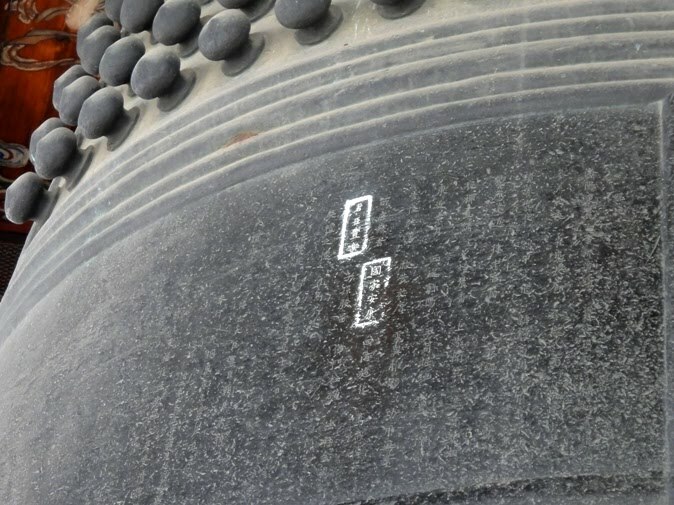 In 1614, to mark the completion of rebuilding the temple and the Great Buddha, a huge bronze bell was cast and mounted in its own structure. It still stands in the temple complex and is 4.3 meters tall, 2.7 meters in diameter, 23 centimeters thick, and weighs 82000 kilograms. 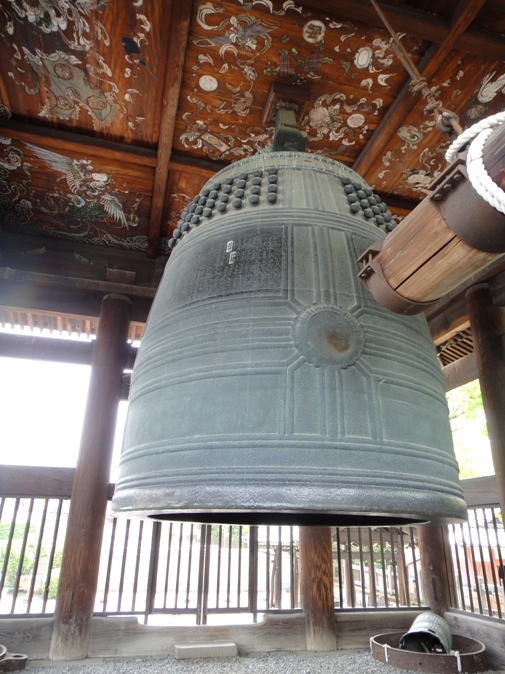 Toyotomi Hideyori asked a priest of another temple to write an inscription for this bell. 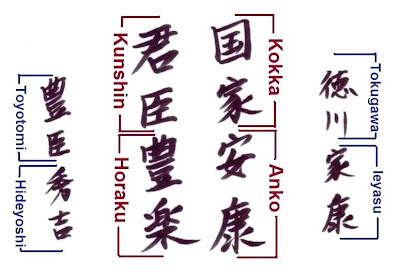 Among numerous Chinese characters, there are words that read as ‘kokka anko kunshin horaku’. It literally means ‘peace of the nation and prosperity of the lord and retainers’. 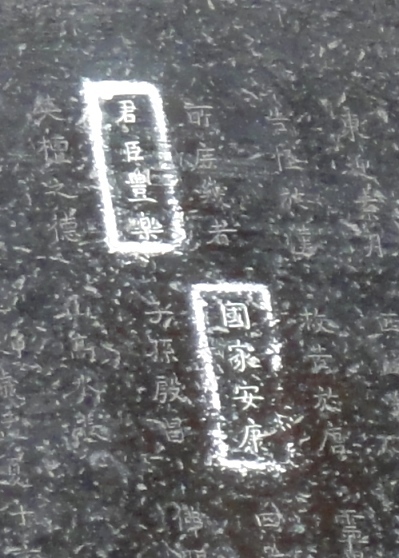 However, Tokugawa Shogunate maliciously contorted these Chinese characters, and Tokugawa Ieyasu affected to take umbrage alleging that it was intended as a curse on him. 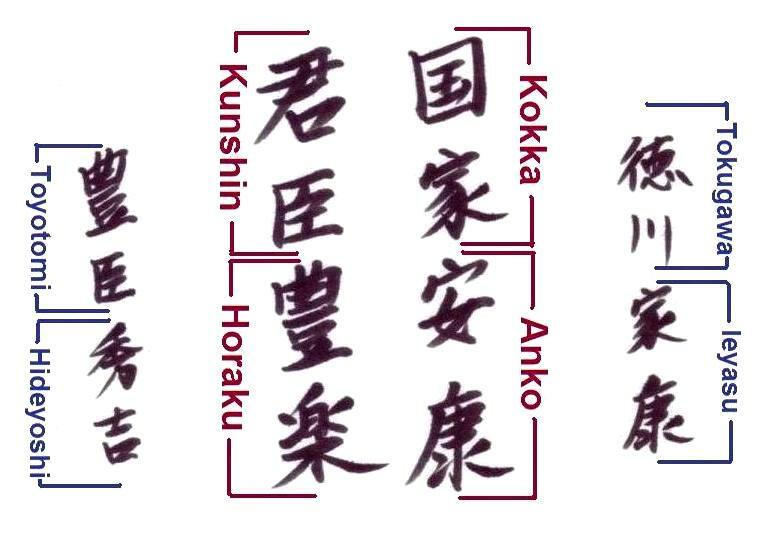 This is because the second and fourth characters of ‘kokka anko’ are the characters of his name ‘Ieyasu’ which means ‘ka-ko’ or ‘house tranquility’. By placing the character ‘an’ or ‘peace’ in between the two characters of his own name, he claimed that the words in the inscription can be interpreted as: ‘if the body of Ieyasu can be gently lacerated, people would live happily and richly with Toyotomi family’. 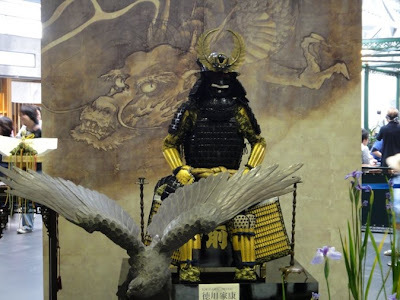 Although Hideyori apologized profusely, Ieyasu refused to be placated and resorted to armed force. 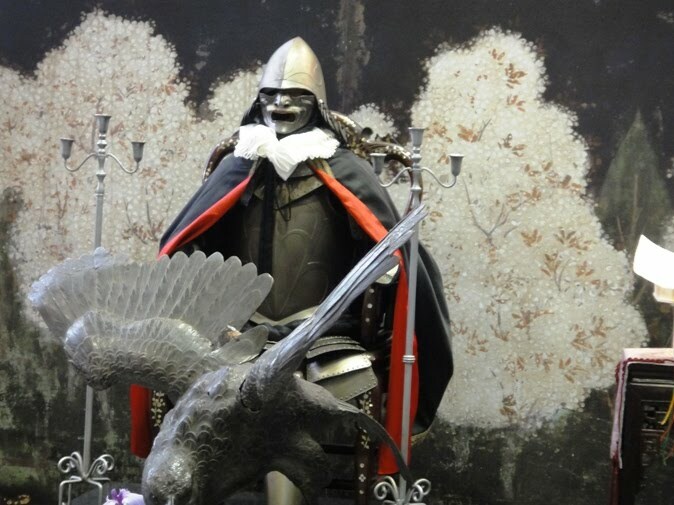 In 1615 he besieged Hideyori in Osaka Castle, a castle Hideyori had inherited from his father. 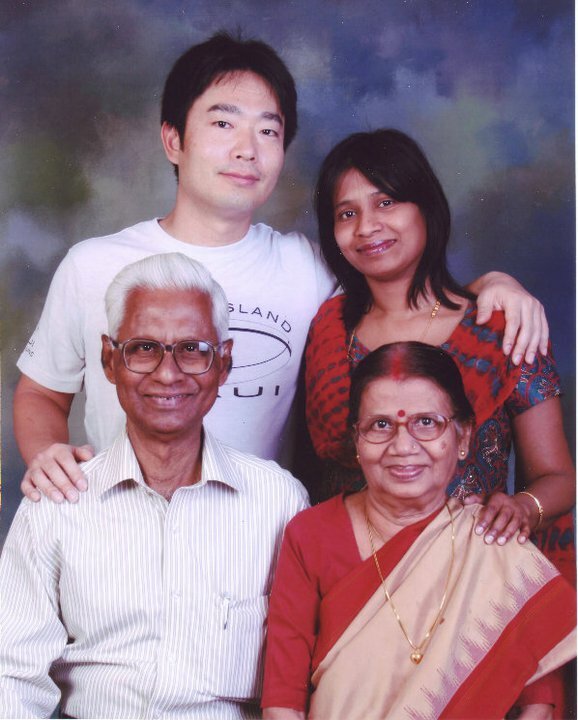 The Toyotomi family was exterminated. 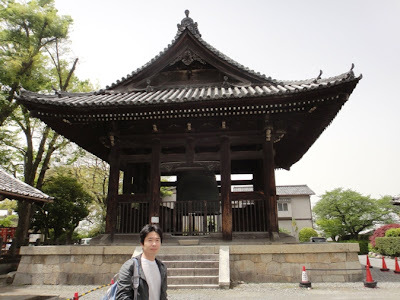 Although the bell of this temple was to herald an era of peace but it led to the downfall of Hideyoshi’s son, eradication of Toyotomi line, and strengthening of Tokugawa Edo period for the next 265 years. 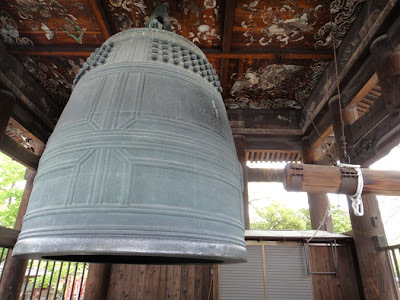 Inside the temple complex, the bell stands in Shoro belfry that was rebuilt in 1884. The bell is huge and there are beautiful paintings on the ceiling of Shoro. 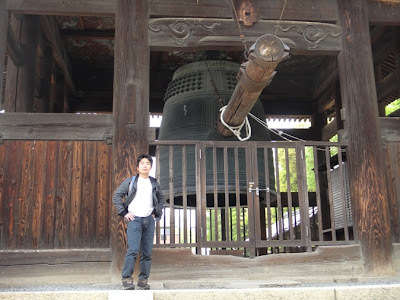 We took several photos of the bell and Shoro from various positions and angles. This bell is of immense historical significance as it changed the history of Japan. But we were surprised that there were hardly any visitors in the temple grounds. 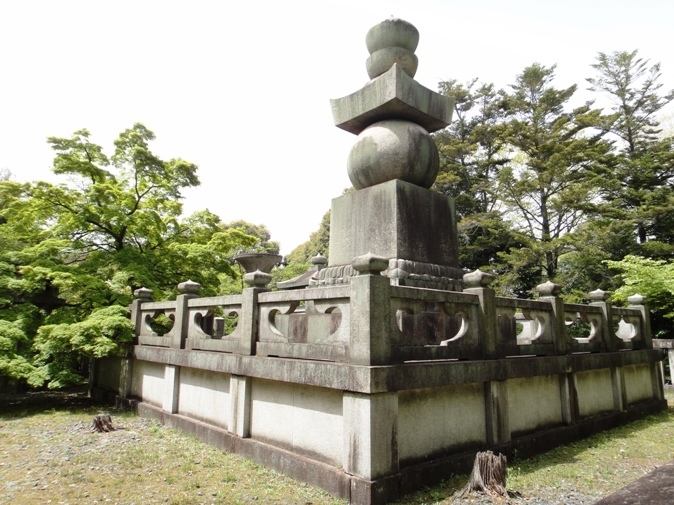 Next we visited Hokokubyo Mausoleum which is located nearby. Toyotomi Hideyoshi passed away on 18th September 1598 at the age of 63 in Fushumi Castle. 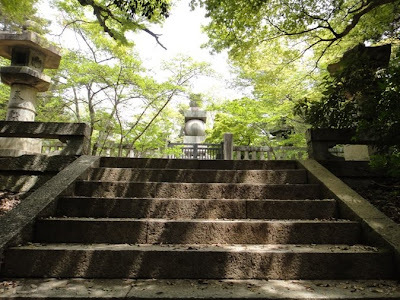 Hideyoshi’s body was interred in accordance with his wishes halfway up Mount Amidagamine located to the east of Kyoto. The next year, Emperor Goyozei ordered the construction of a magnificent mausoleum and a shrine at the base of the mountain. After the downfall of Toyotomi clan in 1615, Tokugawa Shogunate annulled the enshrinement of Hideyoshi in the mausoleum and the shrine, and both fell into ruins due to neglect and natural elements. 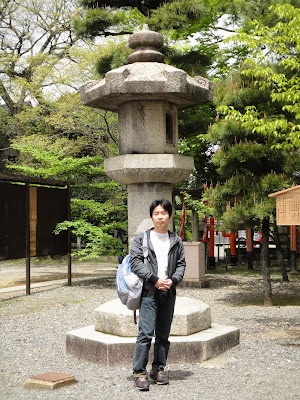 The shrine was reconstructed as Toyokuni Jinja in 1880 about which I have already written. 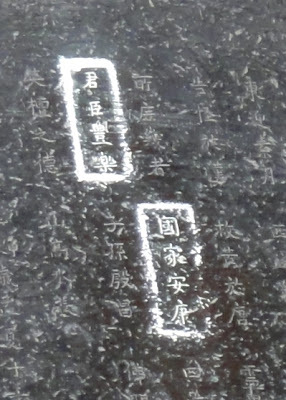 In 1898, the gravesite which had fallen into disrepair was reconstructed as Hokokubyo Mausoleum at the summit of Mount Amidagamine. This was done to mark the 300th memorial anniversary of the passing of Hideyoshi. 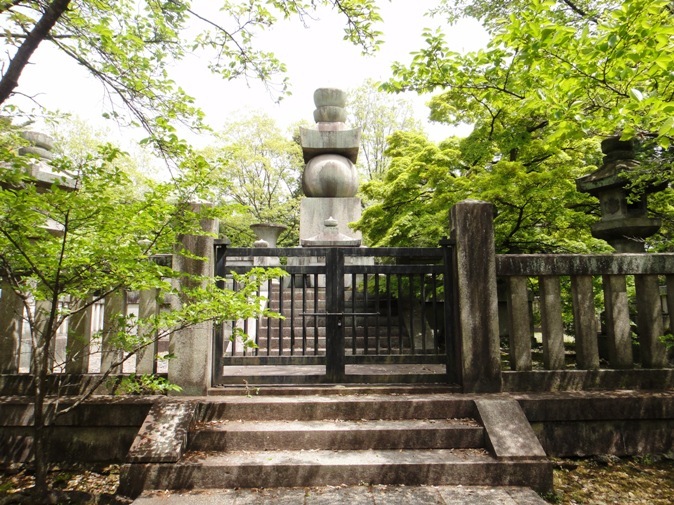 Hokokubyo Mausoleum is located about 1.3 kilometers southeast of Toyokuni Shrine. 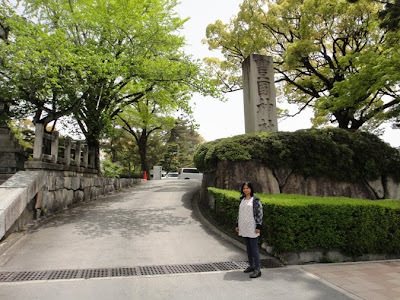 It took us just a few minutes to reach the site of the mausoleum by taxi. 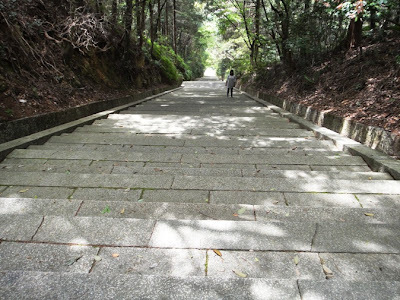 The base of Mount Amidagamine is presently known as Hokokubyo Taikodaira, and was the location of the original Toyokuni Shrine. 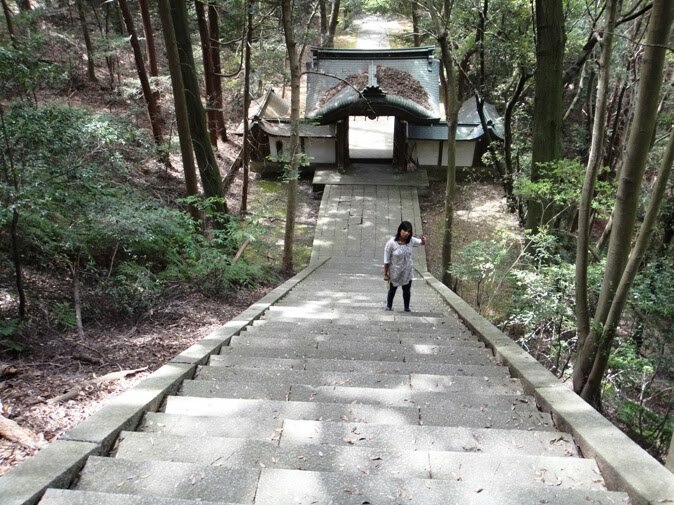 There is a gate like structure at the base beyond which we had to climb staircases to reach the mausoleum. At about 11.30 am, we started climbing the first flight of stairs which were very steep. 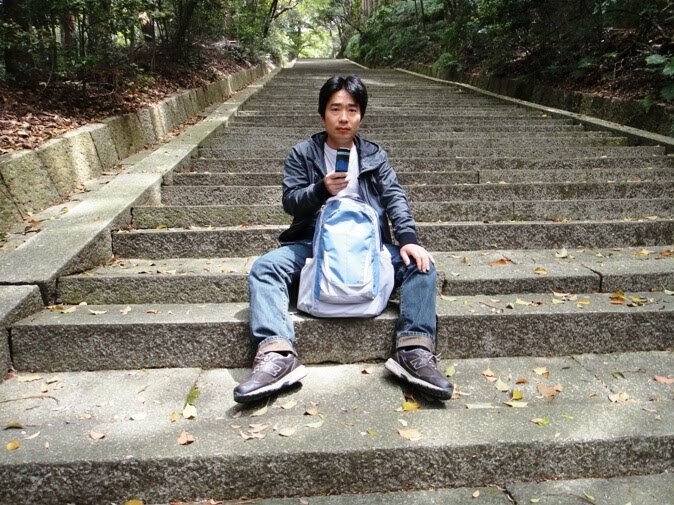 We were a bit tired after climbing many steps and took rest in between for some time. 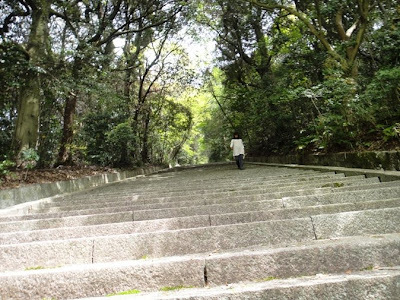 Afterwards hubby was very energetic but I had great difficulty in climbing the rest of the stairs. 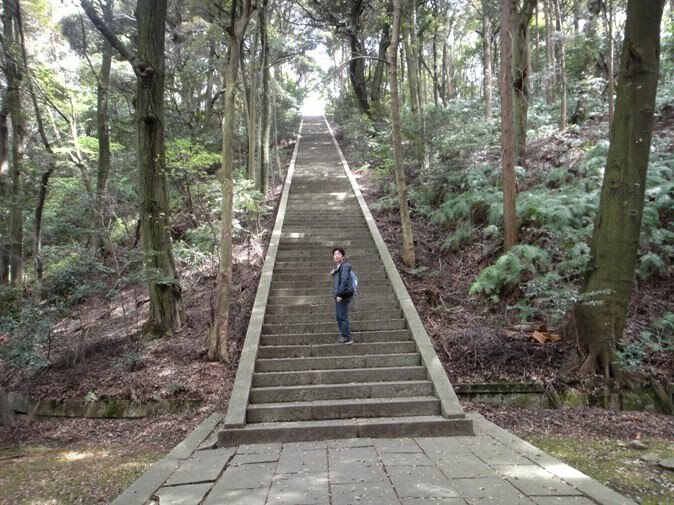 After climbing for a while again, we reached a plateau located about halfway up the mountain. A Chinese-style gate with gabled roof is present at this point. It is a beautiful structure in the middle of the mountain. 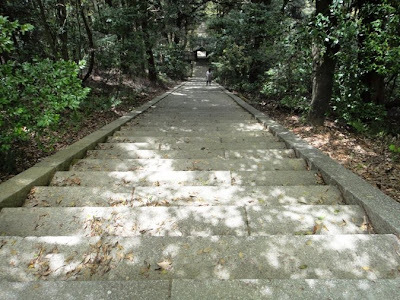 Beyond the gate, we could see a second set of staircase leading upward to the mausoleum. We started climbing the second flight of stairs. 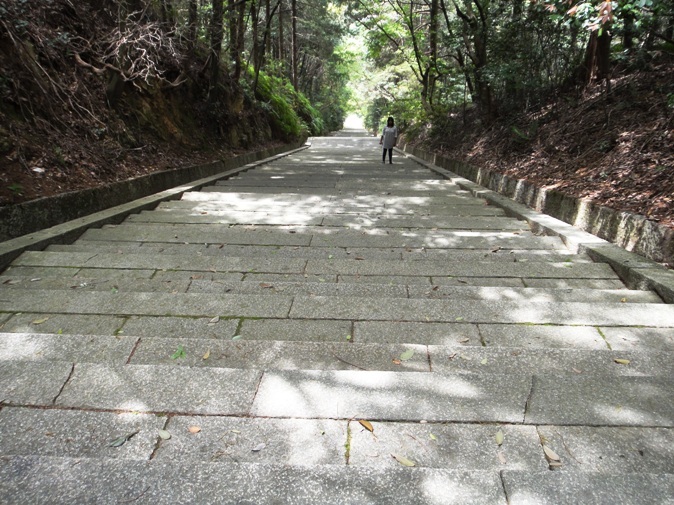 The climb ahead was arduous and I was very tired. 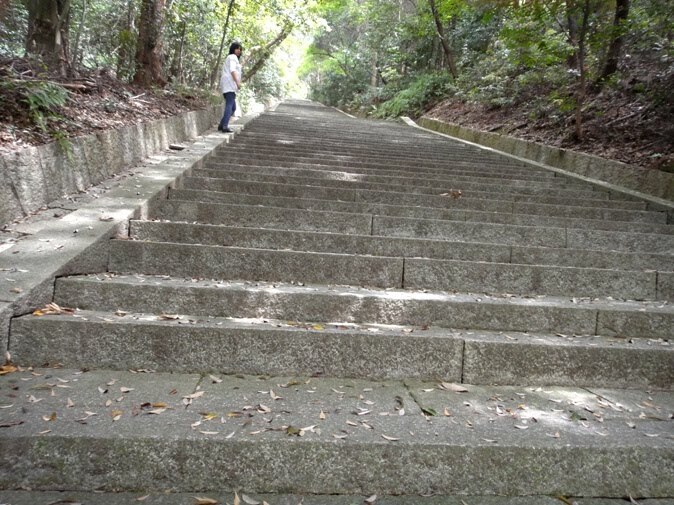 Hubby did not have any problem and climbed the stairs at a constant pace. So the distance between hubby and me kept increasing. Finally after about 45 minutes of climbing the stairs, I reached the top of the mountain. By the time I got to the top I was so exhausted that I could hardly walk once I got to the mausoleum itself. 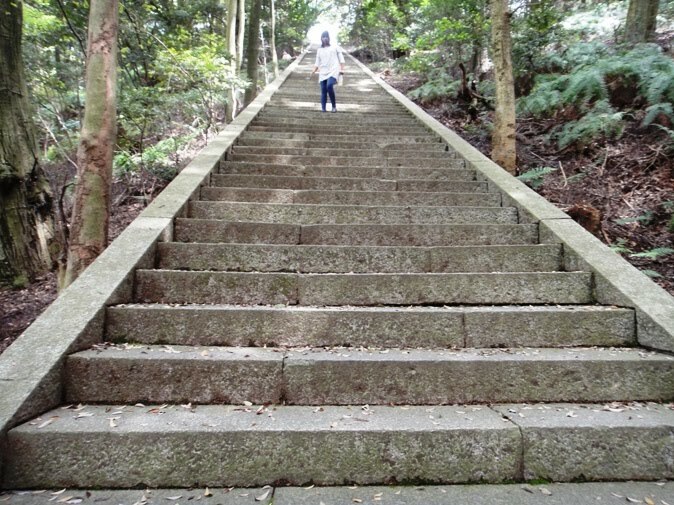 Hubby had reached the top almost 15-20 minutes before me. He had counted the number of steps and told me that we had climbed a total of 522 steps to reach the summit of the mountain. Hubby took this photo when he almost reached the summit. 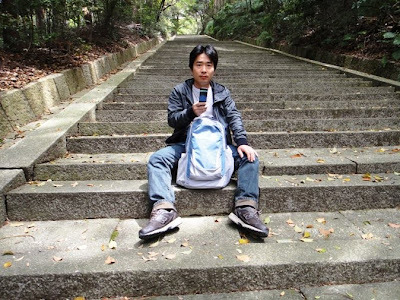 I was too tired and was near the bottom of the second set of staircase. Hubby reached the top of the mountain. Mausoleum is partly seen. The mausoleum of Toyotomi Hideyoshi stands as a proud centerpiece at the summit of the mountain. Seeing the mausoleum of one of the greatest men in Japanese history was really worth the climb. This mausoleum is a five-tiered stone pagoda tomb, which is commonly known as Gorinto. Each tier of Gorinto corresponds to one of five elements which are earth, water, fire, wind, and void from bottom to top. We took several photos of the mausoleum from various angles and positions. 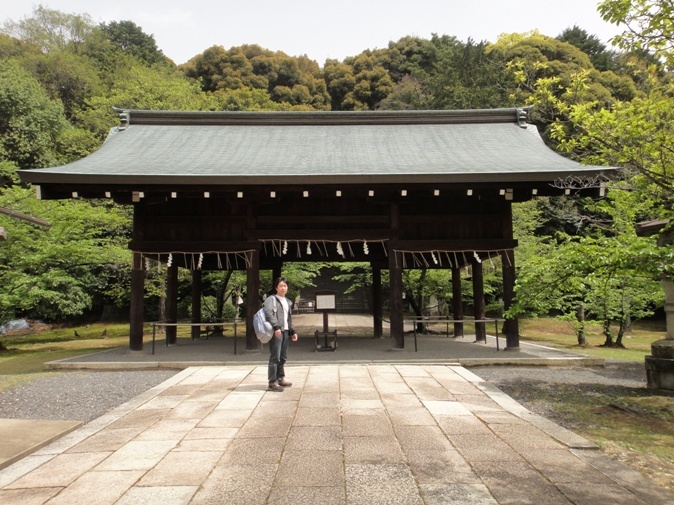 I prayed for peace and happiness at the mausoleum. From the summit, we got a beautiful view of Kyoto city through the trees. No one was around and so we just sat there for almost an hour. 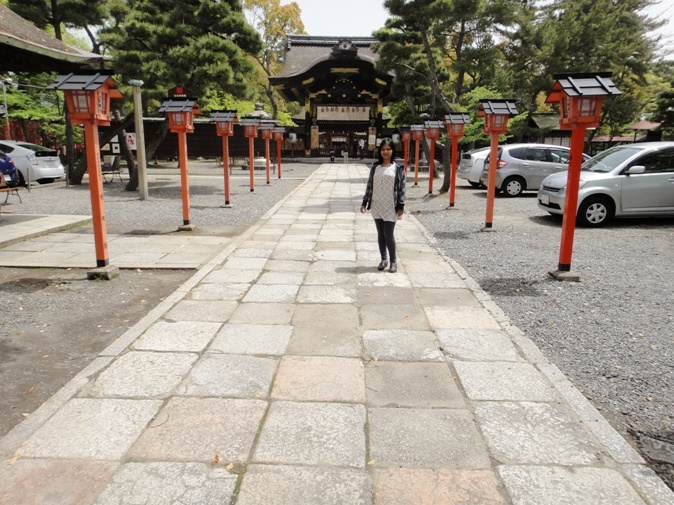 The place was so serene and peaceful. Afterwards we headed down the mountain. My knees pained a lot. After 20 minutes we reached back the base of the mountain. Toyokuni Jinja, Hokoji Temple, and Hokokubyo Mausoleum have very important historical significance and we loved visiting all these. 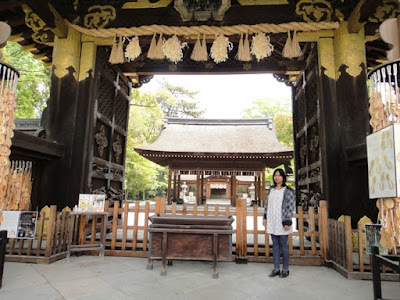 In the afternoon we visited Toji Temple about which I will write in the next post. Thx for this detailed blog post. 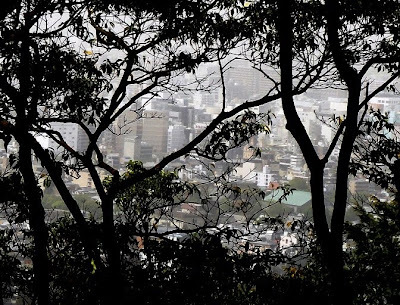 It explains a lot what we saw...by accident when we visited Kyoto this year.